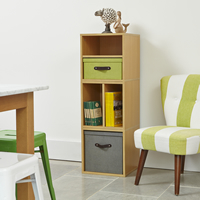 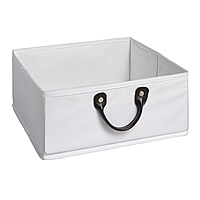 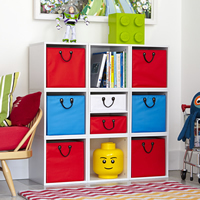 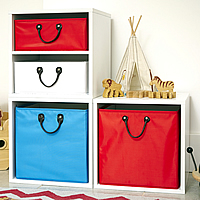 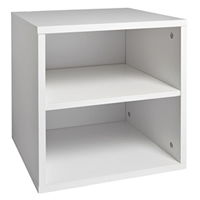 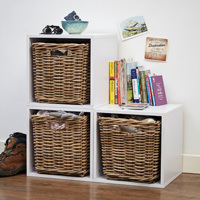 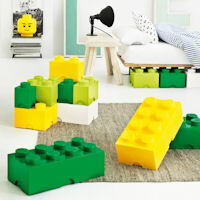 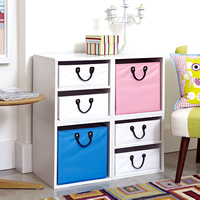 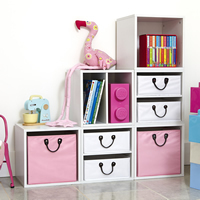 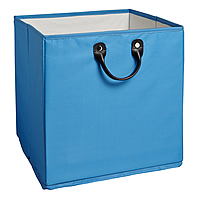 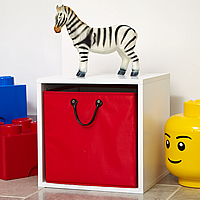 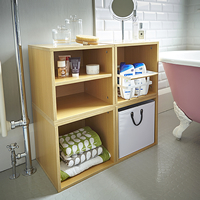 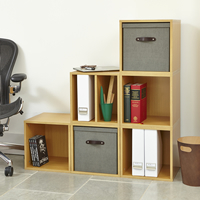 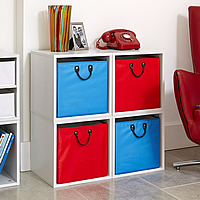 Our set of 6 white wood modular storage cubes will add the finishing touch to almost any room in the house. 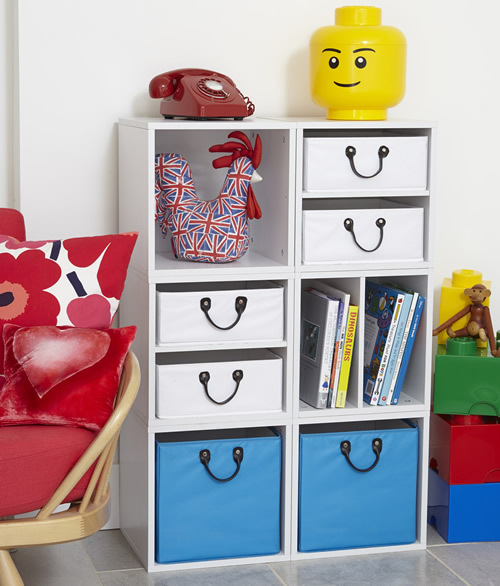 With four small and two large colourful baskets, there's plenty of room for tidying away toys in the kid's bedroom or why not use in the living for books, magazines, remotes etc. 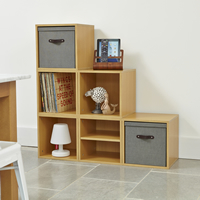 The cubes can be used in the configuration shown above or why not stagger them to make the best use of otherwise unusable space like under the stairs.